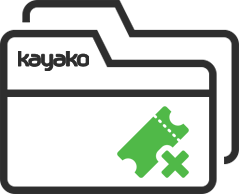 Quickly find and organize all tickets from multiple customers within one single organization. With the Organization Tickets Tab you can quickly find and organize all tickets from multiple customers within one single organization. The tab is located on the User Organization page. Our license allows you to install this product in 1 domain, if you need more domains please create an additional order for each one. Requires ionCube Loader version 3.3.18+. Only available for the download/self-hosted version of Kayako Resolve/Fusion. Compatible with Kayako 4.60 and newer. When you purchase any of our products you automatically obtain 1 month of free support after deployment. 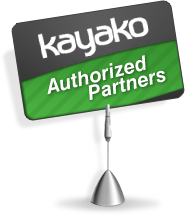 We do not provide free upgrades of the modifications/custom modules to higher/lower versions of Kayako than the version you ordered from us initially. After that period if Kayako version of the customer has been upgraded you can order an upgrade our modification.The fee is 20% of the initial price. Please note: the minimal upgrading cost is 75 USD. Also we should note that our guarantee is only applicable to the solution delivered by Dewak, where no further changes were made by any 3rd party or customers themselves. Quickly find all tickets for an Organization. The Organization Tickets tab will save you time and work, no need to run reports or queries to review all tickets within an Organization. The tab is located on the User Organization page. You can sort Organization tickets by Ticket ID, Subject, Date, Department, Type, Status and Priority. Find all chats for an Organization. The Organization Chats tab will save you time allowing to review all chats of the users within an Organization. The tab is located on the User Organization page. You can sort Organization chats by Chat ID, Subject, Email, Date, Staff and Department.